The CCTV Partnership have now acquired 8 new NOMAD cameras from Rapid Vision for deployment around the estate. All have high quality video and infrared capabilities and are on the 4G network. They will be made available to partners of the HCCTVP for use in anti-social behaviour and crime hotspots. The types of camera available are one multi-cam unit and 7 Mini-IR cameras similar to the one pictured. The NOMAD system is extremely compact as well as simple to install. Best known for its rapid deployment; this re-deployable, wireless solution can fit on lamp posts and are designed to suit the needs of each customer. It’s possible to install these systems on lamp columns in a matter of minutes! 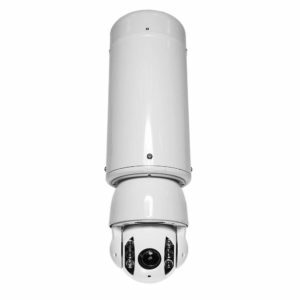 These cameras can be controlled remotely and this ensures the best basis for keeping track of events as they are happening. With crystal-clear images, night vision and 4G wireless technology; this is a camera that can support us throughout the toughest surveillance environments. We would like to thank the team at Rapid Vision Systems for working with us to complete this acquisition.